Item # 309681 Stash Points: 1,395 (?) This is the number of points you get in The Zumiez Stash for purchasing this item. Stash points are redeemable for exclusive rewards only available to Zumiez Stash members. To redeem your points check out the rewards catalog on thestash.zumiez.com. Make sure your look is fierce from head to toe, thanks to the Brucey Crew Socks from Stance. 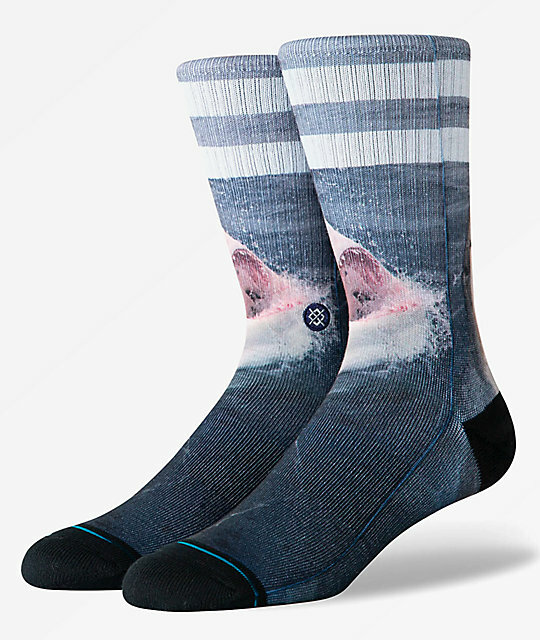 These quality crew socks feature sublimated graphics of a great white shark bursting out of the ocean for a look that will turn heads. With an athletic ribbed upper, arch support and reinforced heels and toes, these socks not only look cool, but feel great too. 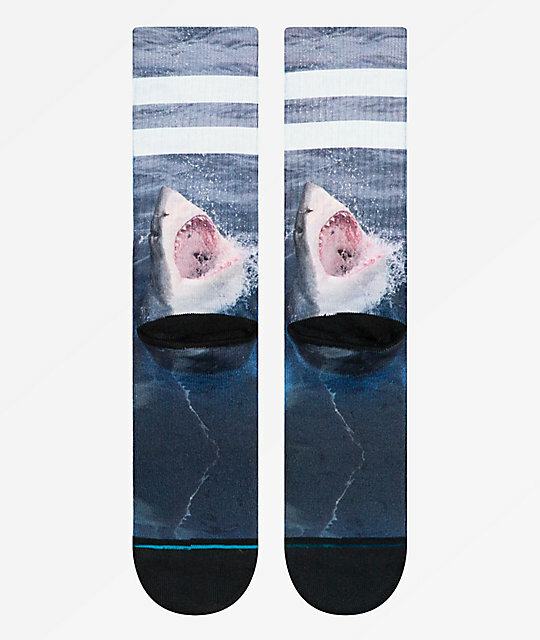 Brucey Crew Socks from Stance. 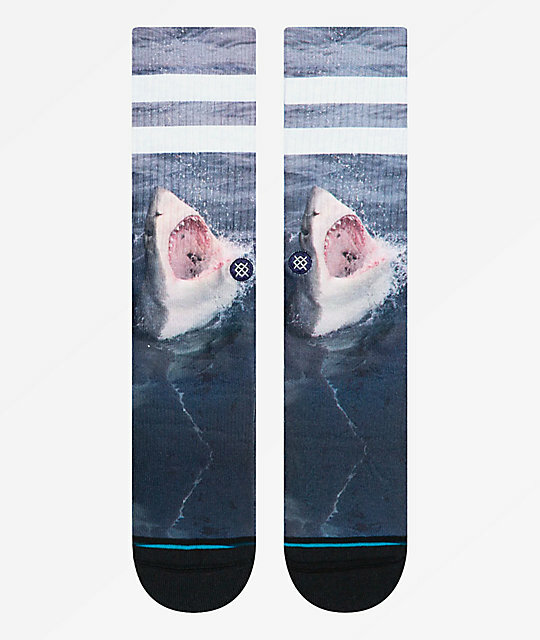 Sublimated graphic of a great white shark.